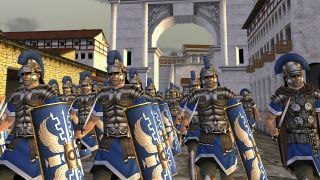 Historical strategy game Rome: Total War is coming to iPhone for the first time on August 23. The game was originally developed by Creative Assembly for PC but has been ported to iOS by Feral Interactive, with an iPhone release set for August 23. Previously, the title was only available on iPad. Rome: Total War is a turn-based strategy game which sees you commanding one of three Roman families on a century-long quest to expand and seize the Roman Empire. Those who purchase the game on iPhone will receive the same in-game content as those on PC, alongside a host of features tailored specifically for phone such as a redesigned user interface and enhanced touch controls. Rome: Total War requires an iPhone 5S (or later), iOS 11, and 4GB of free space to install. Rome: Total War will be available from the App Store for $9.99 / £9.99 / AU$14.99. If you’ve already purchased the title for iPad, you can install it on iPhone for no extra charge and transfer your save file.